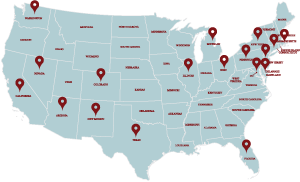 In 2014 Light of the Valley aired on 68 TV stations in 15 states. 46% of American households could have seen it. It showed on 5 of the 6 top markets: New York, Los Angeles, Chicago, Philadelphia and San Francisco. 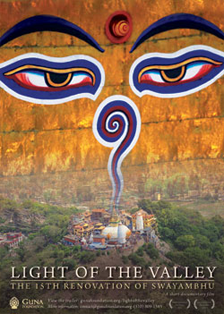 In addition to being broadcast by PBS, Light of the Valley has also screened in 6 countries and has been accepted to the Jaipur Film Festival and Ladakh Film Festival. 11 university educational TV stations have committed to showing both films (Light of the Valley and Prayers of the Ancient Ones) in Philadelphia, New York, Nashville, Chicago, Maryland, Colorado, Illinois and Michigan. 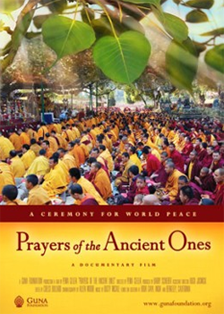 Prayers of the Ancient Ones (Guna’s second documentary film) was accepted for public television by PBS and will begin broadcasting in late 2014. July 2011Guna’s first film presents the inspiring story of the 15th renovation of the Swayambhu Stupa in Kathmandu, Nepal, recognized as one of the most important stupas in the Buddhist world. June 2013Guna’s second film takes us on a journey to the World Peace Ceremony in Bodh Gaya, India, the holiest site of Buddhism where the Buddha attained supreme enlightenment under the Bodhi tree. 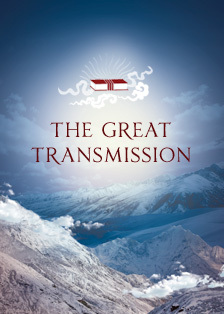 July 2015Guna’s third, upcoming film explores the roots of Tibet’s prolific body of knowledge, transmitted across civilizations, from the oral to written tradition and wood-block printing to modern presses, and above all, from the realm of transcendent realization to the world of written word. Guna offers insight into the value and history of Buddhist cultures. Transmitting the beauty, spirit and knowledge of Buddhism, Guna acts to preserve Tibet’s wisdom tradition as part of humanity’s heritage. Guna Foundation is a non-profit, volunteer-based studio located in Berkeley, California.